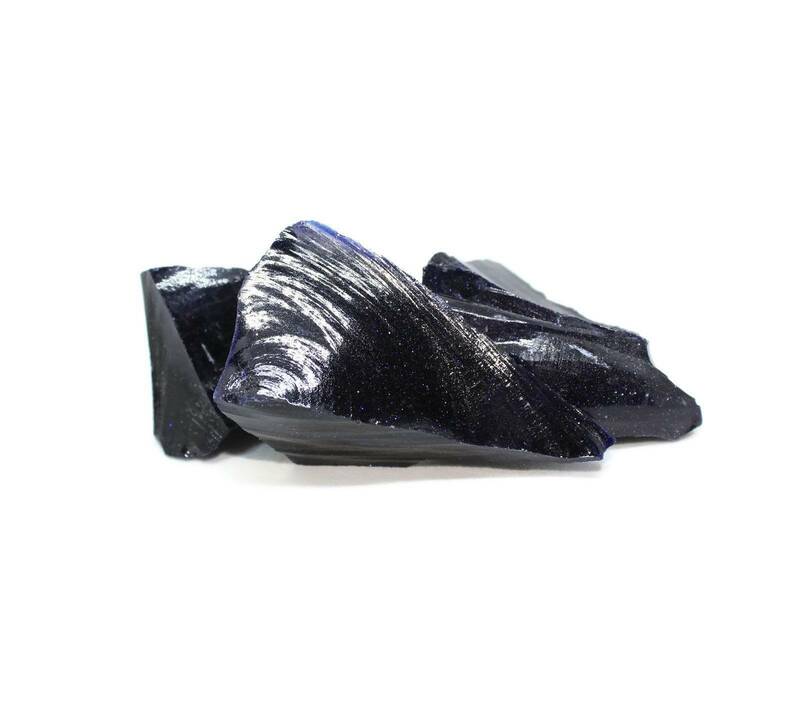 These are rough blue Goldstone pieces, available in two sizes. 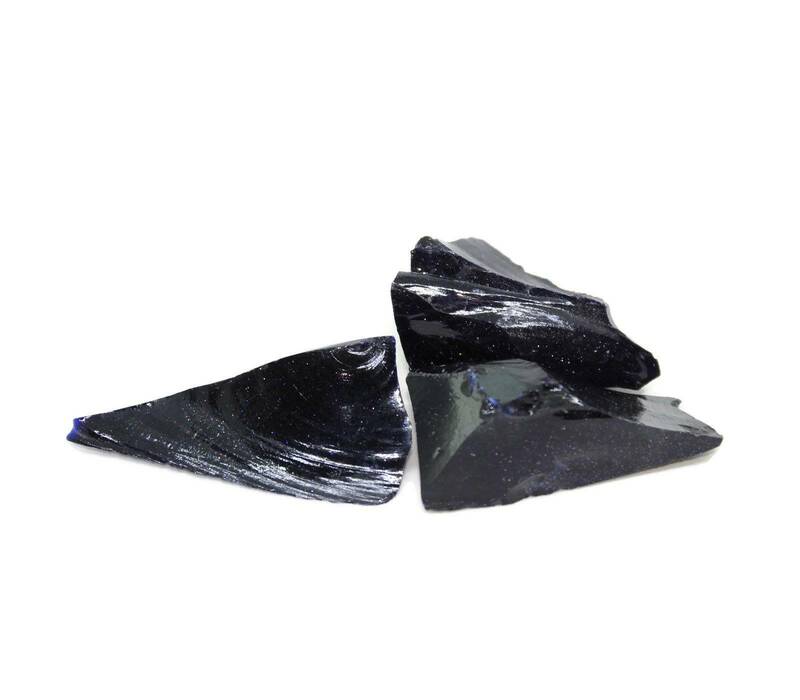 We sell these rough blue Goldstone packets in two sizes – 100 grams and 1000 grams. When selling minerals, we typically sell a single stone – for collectors. However, these are essentially lumps of shiny broken glass so most will not want a specimen! However, you’re more than welcome to order a hundred gram packet for specimen pieces! Bear in mind that Goldstone is a glass, and as such extra precautions should be taken. Be careful while handling the rough pieces, and while cutting or grinding the glass. If you are not experienced with lapidary safety, please do not purchase this item. You will need a dust extractor at minimum to avoid powdered Silicon/powdered glass. 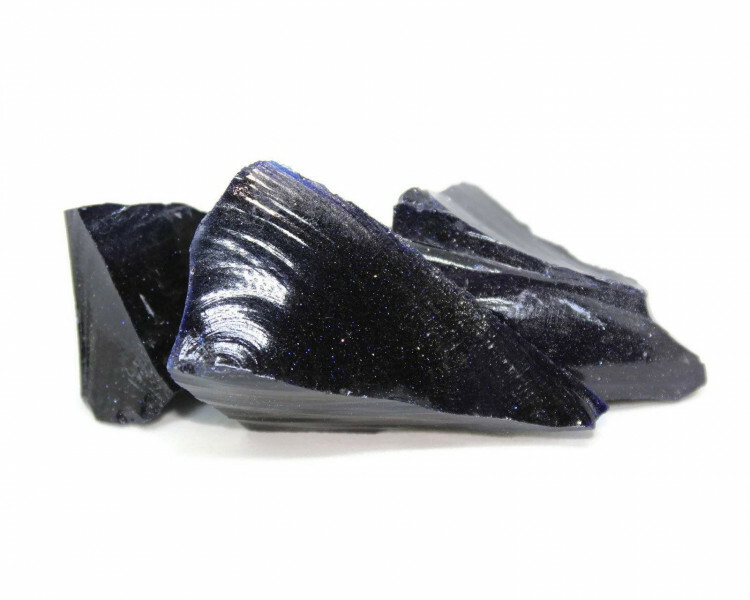 For more information about Blue Goldstone and Goldstone as a whole, and for a full list of all of our related products, please see our main ‘Goldstone’ section.